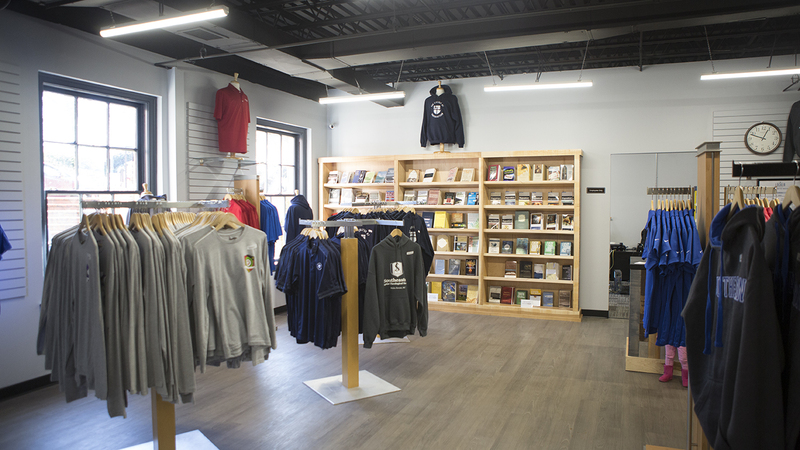 The Ledford Center has operated as the hub of Southeastern student activity, providing opportunities for fellowship, recreation and information. Currently, the Ledford Center is home to the Student Life Division, which includes the Dean of Students, Student Activities and Discipleship Office, International and Ministry Referral, Financial Aid and Employment Services. 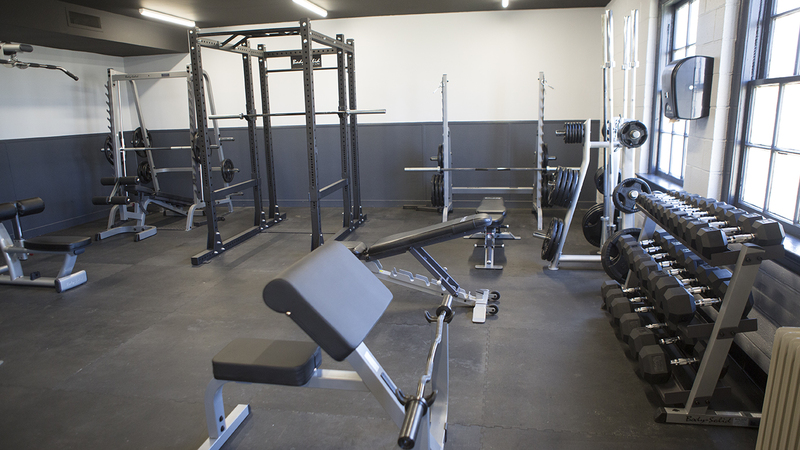 Other services in the building include: Magnolia Kitchen, The Locker (mailroom and copy center), Cannon Gymnasium and the Fitness Center. Hours: Monday-Friday 6:00 a.m. - 12:00 a.m.; Saturday 10:00 a.m. - 12:00 a.m. Break Hours: Monday - Friday 6:00 a.m. - 8 p.m.; Saturday 10:00 a.m. - 4:00 p.m. 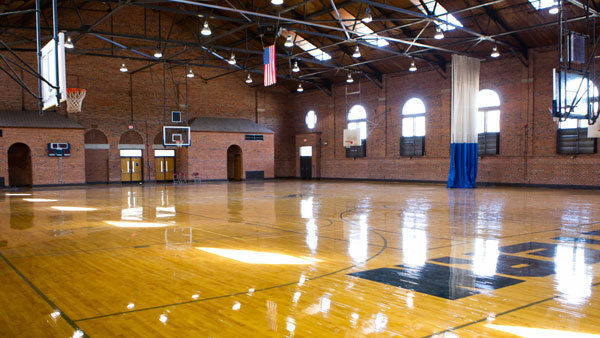 The Ledford Center is closed on Sundays throughout the year. The Ledford Center now hosts a game room. 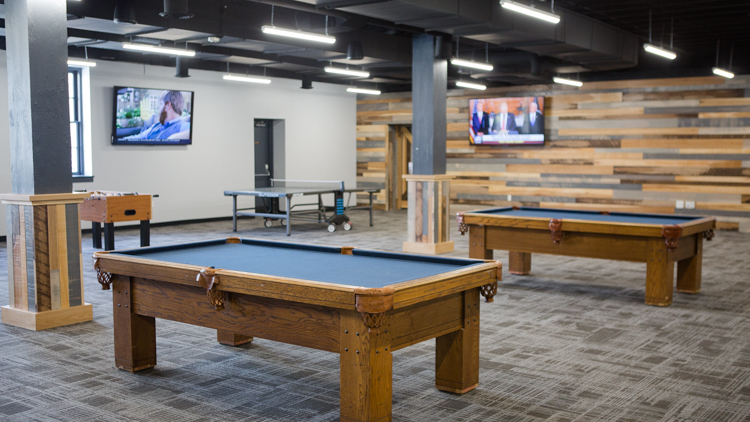 Students can check out equipment to play pool, ping pong, air hockey, and Foosball, or sit and watch a game on one of our large T.V. screens. 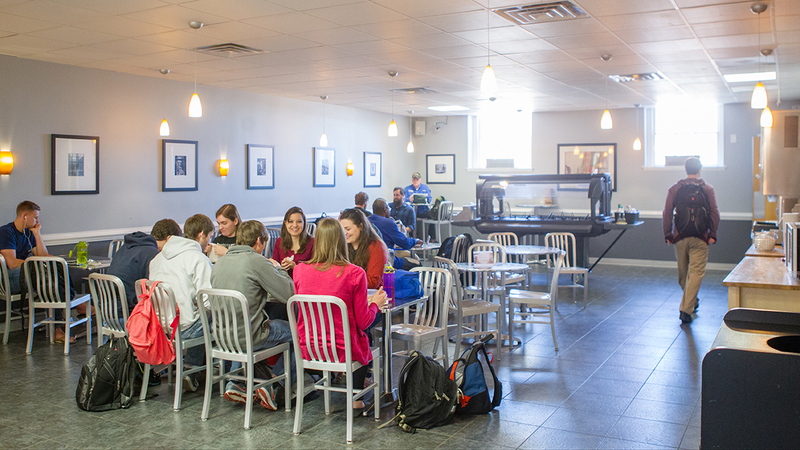 Magnolia Kitchen is the dining facility that serves students, faculty, and staff at Southeastern. Led by our Executive Chef, we offer buffet, grab-and-go, or made-to-order food options for breakfast, lunch, and dinner. Hours: Monday through Saturday, 7:00 a.m. - 7:00 p.m. We have a variety of meal-plans available and are confident you will find the perfect fit for you. Your student ID card will carry the number of prepaid swipes associated with your meal plan, or you can pre-load it with cash. Whenever you are hungry, just head over to Magnolia Kitchen, swipe your card, and eat! The Kitchen will be opening this fall 2017! The Locker is your one-stop shop for Southeastern gear for students, families and the community. Along with apparel, the Locker offers mail and copy services including photocopying and binding. Hours: Monday-Friday 9:00 a.m. - 4:00 p.m.